Paper size: 25.8 x 16.5 cm. / 10.2 x 6.5 in. Image size: 15 x 12.2 cm. / 5.9 x 4.8 in. 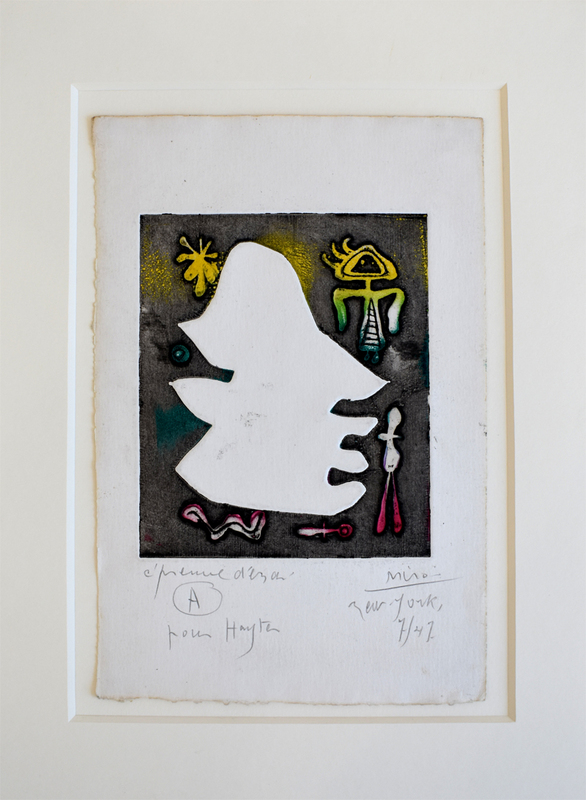 Additional Information: This original etching with hand-colouring is hand signed in pencil by the artist “Miró” in the lower right margin. It is also dated “New York 7/47” [New York July 1947] below the signature. It is also hand inscribed in pencil “épreuve d’essai – B – Pour Hayter” [working proof – B – For Hayter] in the lower left margin. This work is the fifteenth composition from the L’Antitête [Antihead] suite of sixteen etchings with pochoir. 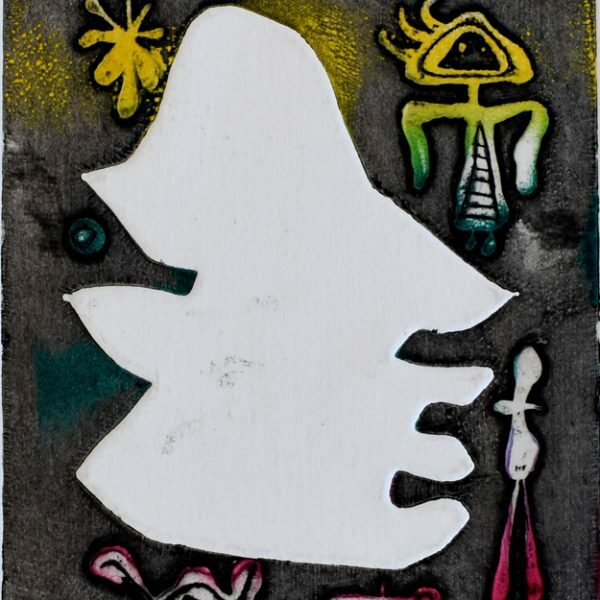 Our impression is a unique hand-coloured proof from before the edition of 200. 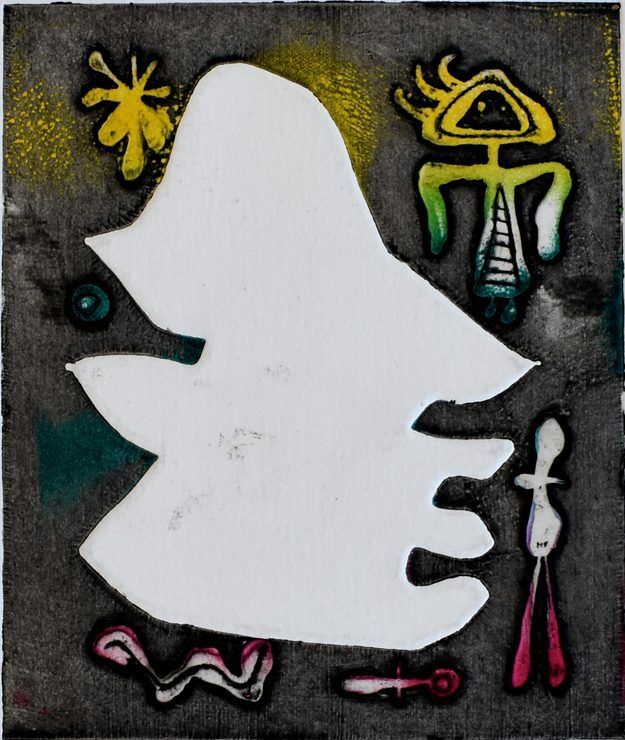 The composition was further worked for the limited edition of 200 signed and numbered impressions in 1949 published by Bordas, Paris and printed by Lacouriere, Paris. Our impression was printed by and subsequently dedicated to Stanley William Hayter at Atelier 17, New York. Helen Elizabeth Phillips (1913 – 1994), S.W. wife. 2. Cramer, P. (1989). 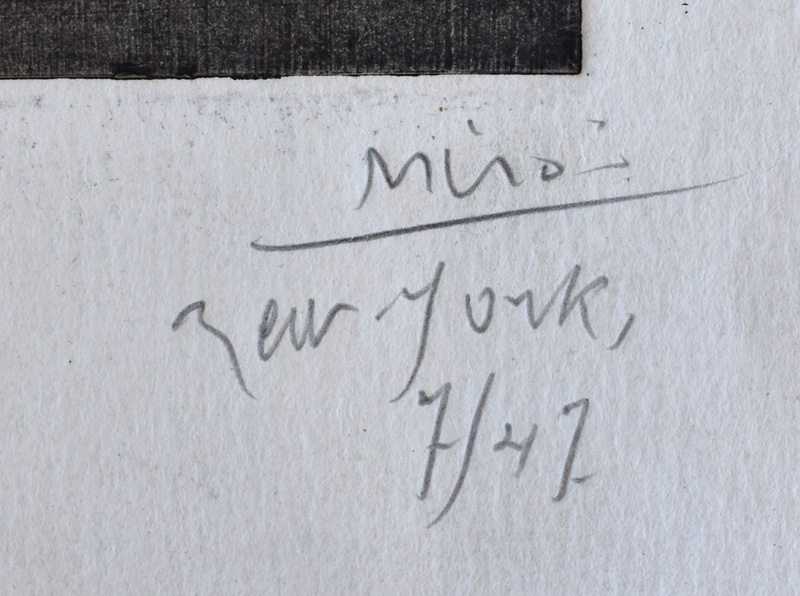 Miró: Catalogue des Livres Ilustrées. Paris. Edition Cramer. Condition: Excellent condition. Some stray printing ink in the margins and soft creasing. 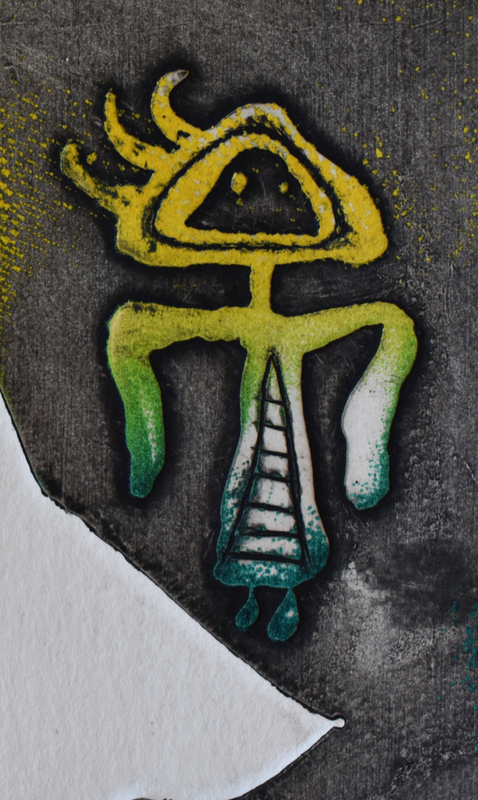 These issues are consistent with working proofs as they are handled by the artist in the printmaking process.